When we mention the word ‘addiction’, or ‘drug addict’ most people immediately assume that we are talking about either ‘recreational’ drugs (such as cocaine, heroin, marijuana, etc.) or alcohol. But in recent years there has been a huge increase in the amount of people developing prescription drug addiction. The increase has been well documented in Canada and the USA, where more people are dying from prescription medication overdoses than from heroin overdoses. In Australia however, the studies and statistics have been a bit slow on the uptake, and only now are we starting to see the full extent of the prescription drug addiction problem in places such as Sydney. The most widely abused prescription drugs are opioids for pain such as OxyContin and Vicodin, central nervous system depressants such as Xanax and Valium, and stimulants such as Ritalin. Possibly the most dangerous and most popular of these three variants are opioid drugs, and in 2014 the Australian National Drug and Alcohol Research Centre revealed that deaths related to opioid abuse had increased from 360 in 2007, to 706 in 2010. Most people voluntarily take these drugs for a legitimate physical or mental health issue, but if they are vulnerable to addiction, or become dependent on the drug, it is very easy for them to fall into full time prescription drug addiction. 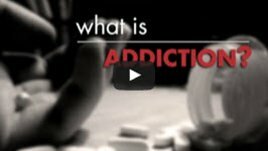 Prescription drug addiction is one of the hardest addictions to spot, as addicts are normally highly functioning individuals. However, OxyContin addiction or any other prescription drug addiction is life-threatening, and it’s important to get help. If you are worried that you or a loved one has developed an addiction to prescription drugs, you should get in touch with a professional right away. At The Cabin Sydney, we offer a thorough assessment for any individual who is possibly in need of addiction treatment. At The Cabin Sydney we believe that addiction is of a personal nature, and we are able to offer programmes that appeal to professionals that want their addiction to remain guarded. We offer a confidential, comprehensive and thorough addiction treatment programme that can be designed to work around client’s professional and private lives. At the Cabin Sydney our treatment process is based around the Recovery Zones model, which we combine with a modern take on the 12 Steps programme and CBT methods. This addiction treatment model is used by all centres around the globe that are part of The Cabin Addiction Services Group. This effective treatment method has a high success rate and a completion rate of 96%. If at any time a client needs or prefers a full-time residential rehab programme, we offer them fast-tracked admission to our residential facility, The Cabin Chiang Mai. Many of our clients at The Cabin Chiang Mai come from all around Australia. Our treatment facility is nestled in the tranquil foothills of the lush subtropical mountains of Chiang Mai. This secluded resort-like setting offers a high level of anonymity, away from the addiction triggers of regular life. Our counselling and medical staff are Western-trained with many years of experience. 24 hour medical care is available to clients, as well as a tailor-made programme which combines medicine and mindfulness to ensure that your rehabilitation process is as successful as possible. Contact us today about prescription drug addiction treatment to have a no obligation assessment and see how we can help you. Fill out the short form on the top right of this page, or call us directly on +61 2 9326 2867, to start your journey to recovery now.